I’ll be teaching two memoir classes at the San Francisco Writers Grotto this winter, beginning in late January. The four-week memoir intensive was so rewarding this past August and October, thanks to great students who experimented fearlessly and made terrific leaps forward in their work; I’ll be offering that class again beginning January 25. And for memoir writers who want to take the next step, I’m excited to launch an eight-week workshop, starting January 26. Full information on each class is below. Contact me at rachel dot howard at gmail.com for registration details. And check out all the great Grotto classes, in everything from poetry to travel writing, at www.sfgrotto.org. Also, a heads up about the new Grotto Class Notes monthly newsletter, which you can sign up for here. Much more than the latest on the Grotto’s wide array of class offerings, Grotto Class Notes shares tips on writing, exercises to try, and recommendations of favorite books. A little shot of monthly writing motivation for your inbox! critique session 6:30 – 9:30, Monday, February 22. Description: You want to tell your story and you want to tell the truth. But how does truth differ from mere fact in memoir? And how do we find and give form to the deeper truths that compel readers to compulsively turn pages? Memoir poses a contract with the reader—“this really happened.” Whether your story is outrageous or ordinary, compelling memoir need not depart from facts. But it must dig beneath them to unearth a deeper emotional honesty. In this class, we’ll use Vivian Gornick’s craft book The Situation and the Story to help examine the personal story you’re trying to tell, and how you can best tell it. We’ll look at excerpts from memoirs by such writers as Jo Ann Beard, Alexandra Fuller, and Susan J. Miller, and do lots of in-class writing of our own which we will share and discuss. We’ll explore how memoirists use fictional techniques to transport the reader beyond surface factuality, and we’ll find the truth that can drive your personal story. Each student receives private feedback on his or her writing between classes, and individualized writing assignments. Plenty of time reserved for practical Q and A. Ethical quandaries—“What will my family think if they read this?”—welcome. In the optional fourth session, participants submit up to 20 pages of their memoirs-in-progress for in-depth group discussion and a detailed letter of personal critique. This class is for students already at work on a memoir, as well as those just starting out. It serves as an introductory class for students who would like to continue on to the Intermediate/Advanced Memoir Workshop. Description: This weekly workshop provides ongoing craft discussion and critique for committed memoir writers. During the opening portion of each class we’ll talk about a variety of published readings, including Sven Birkert’s “Art of Time in Memoir.” Then we’ll turn to your work, aiming to reflect back to the writer what has been communicated, and then to describe the further opportunities we see. We’ll point to strengths, and offer ideas for revision in a supportive, thoughtful environment. Every writer in the class will have the opportunity to submit to workshop twice during our eight weeks together. Ultimately this class will help you gain greater perspective on your work by listening to others. But my deeper goal is to help you build a strong personal writing sensibility by encouraging you–amidst the flurry of feedback–to listen foremost to yourself. Note: This class is geared to intermediate and advanced memoir writers. Admission requires submission of a short writing excerpt to assure correct placement, or completion of an earlier Memoir Intensive. Instructor Bio: Rachel Howard is the author of the memoir The Lost Night: A Daughter’s Search for the Truth of Her Father’s Murder, one of the San Francisco Chronicle’s Best Books of 2005. Her personal essays have appeared in the San Francisco Chronicle and O, the Oprah Magazine. 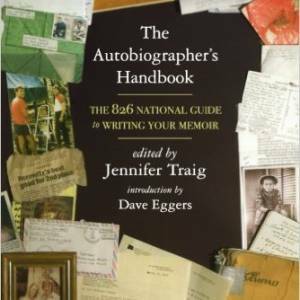 Her advice is quoted extensively in The Autobiographer’s Handbook: The 826 National Guide to Writing Your Memoir. She received her MFA from Warren Wilson College.